The reaction you may have when trying marijuana can vary dramatically based on many factors. Some people report not feeling anything at all when they smoke marijuana. In other cases, people report feeling relaxed or "high." Some people who use marijuana report having sudden feelings of anxiety and paranoid thoughts and that might be caused by trying a higher potency marijuana, according to the National Institute on Drug Abuse. Research also shows that regular use of marijuana is linked to an increased risk of depression, anxiety and a loss of motivation or drive. You may feel "dopey" on the drug, which is when you begin to lose interest in activities that you might have previously enjoyed or you may lose the ability to grasp concepts easily. The effects of using marijuana can be unpredictable, especially when it is mixed with other drugs, research shows. You may feel relaxed on the drug, but other things you might not be expecting with pot use can include rapid heart rate and other unpleasantries. As with any drug or substance that can alter perception, logic and usual behavior, there are several short-term hazards of using marijuana from impairing driving abilities to memory loss. Any drug that is taken over a prolonged period of time can have an affect on your health. Several of the physical barriers that can occur range from infertility problems to overall brain functions. 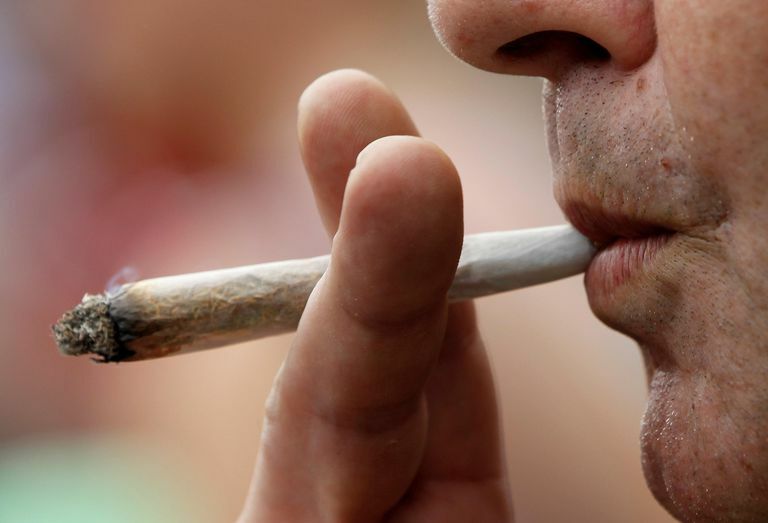 The National Institute on Drug Abuse reports that marijuana can affect each person differently according to their own body chemistry and the type of pot used. Some people can use weed and never have any negative reactions while others may try it and get entirely freaked out by the experience. Studies have found that the marijuana available today is much different in terms of potency compared to what was generally available in the 1960s when the use of the drug became widespread in the United States. Today's strains of the plant contain much more of the active ingredient in marijuana: tetrahydrocannabinol or THC, researchers say. That makes today's weed much more potent than that smoked by the hippies and flower children of the Woodstock generation. Edible Marijuana Products More Potent? As recreational marijuana becomes legal in more states in the U.S., more edible products containing marijuana are hitting the market. When marijuana is ingested it is absorbed by the body more slowly and the effects can last longer and be stronger. Emergency rooms have reported an increase of cases involving negative reactions to marijuana and many of those cases can be traced back to edible marijuana products. Has using marijuana become a problem for you? Take the Marijuana Screening Quiz to find out if you need to slow down or consider quitting. The Partnership at DrugFree.org. "Marijuana." Drug Guide. Accessed April 2014.